Fault current phase and magnitude for > 2 cycles. Using hot spot temperatures calculated or measured With fiber optic probes, Online Transformer Monitor calculates the rate and cumulative life lost on up to 12 windings. This level of transparency maximizes both asset life, and health. Track and trend insulation failure or surface contamination (with Bushing Monitor). You�ll have advance warning of bushing failure�the leading cause of transformer failure�through sensors that detect early changes in voltage amplitude and phase angle. Designed to alert to current in the milliamp range for a fraction of a cycle, Online Transformer Monitor uses patent pending algorithms to monitor and record external core ground currents, providing unique, early indication of a compromised transformer core. Online Transformer Monitor intuitive Dashboard software provides visibility to all transformers, along with the tools to help you quickly identify and diagnose problems. As new Online Transformer Monitor capabilities are released, you can simply upload new firmware via the Internet and your system is up-to-date. 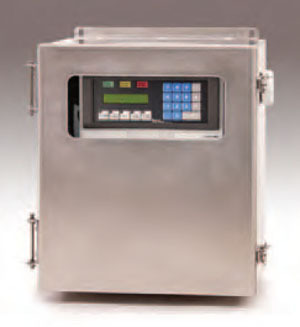 Online Transformer Monitor programming options include using the optional keypad or the Dashboard software. An even easier method uses a programmable spreadsheet and a simple programming wizard. It�s a complete back-office solution that lets you diagnose problems quickly via graphical displays.